I’m all about Annie Haak Designs right now! 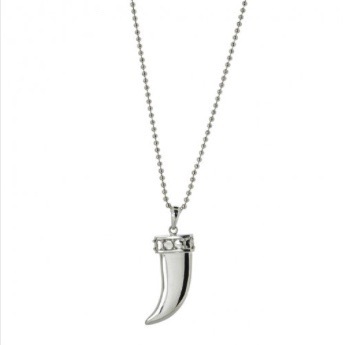 I’m very much so a jewellery kind of girl- but I love how pretty, simplistic & sentimental the Annie Haak designs are. Most of her pieces carry these empowering & inspirational quotes that I know strong women will relish in! 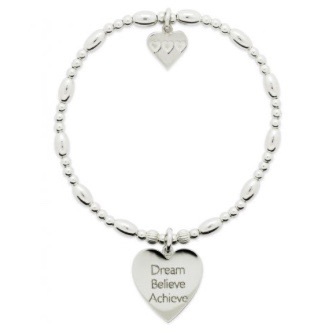 One of my most loved pieces from this collection is my Dream-Believe-Achieve bracelet, this particular piece was gifted to me after a promotion at work- so holds a lot of sentimental value, but also never forgets to remind me what I’m capable of! 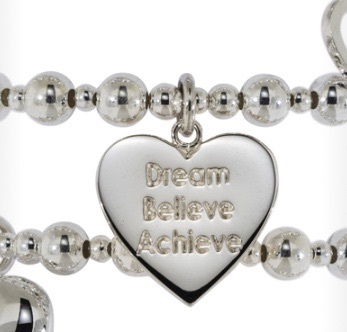 If I’m having a down day I just pop on my bracelet- alongside with my can do attitude, (cheesy- but so so true). If you didn’t know Annie Haak is the founder/owner of Annie Haak Designs, and all jewellery is designed by Annie herself. All of her jewellery is inspired by the beautiful, tropical island of Bali- & carry meaningful messages in the form of the mantra hearts. I love that they offer an engraved service on selected pieces- allowing you to really create an extra special gift for someone. They also offer customers an opportunity to customise the size of their beaded bracelets ( if you have tiny wrists like me lol). I’m a massive fan of the 925 sterling silver range, but there is definitely something for all- as they also stock 14ct solid gold, gold plate, 14ct rose gold & rose plate. 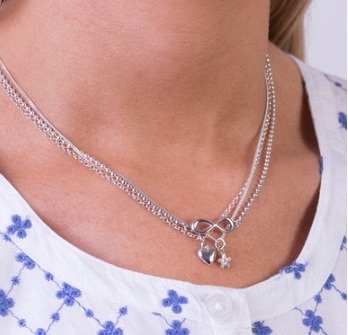 My next piece has to be the forever lasting trio necklace as seen above! Or the gorgeous infinity forever necklace (bracelet version shown above). I can’t wait to add more to my Annie Haak collection- so you may well be seeing more Annie Haak on lovesian shortly! If your looking for a gift for a special someone (to the men out there! Valentine’s hint-hint) then what are you waiting for, this is the perfect gift!…. you can thank me later.